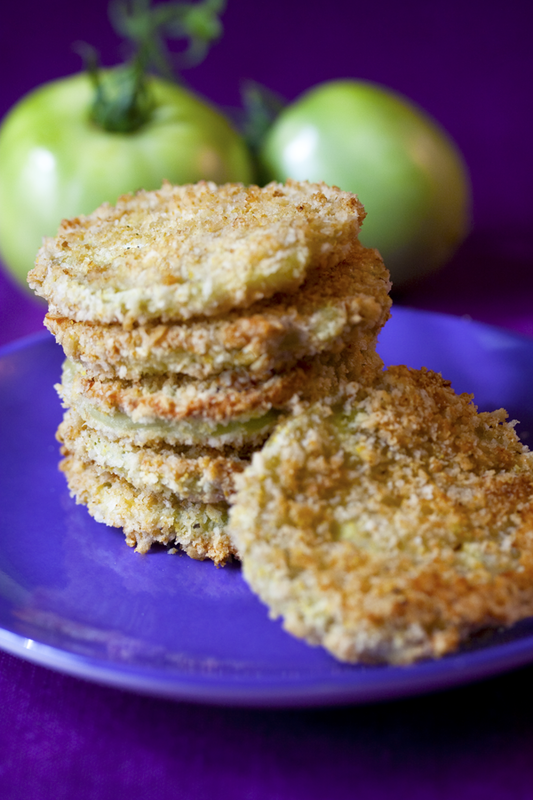 A baked, vegan and lower fat version of the classic southern dish, fried green tomatoes. Want to know what others thought about this recipe? Would you like to comment on this recipe? Go to the Baked Green Tomatoes blog entry. 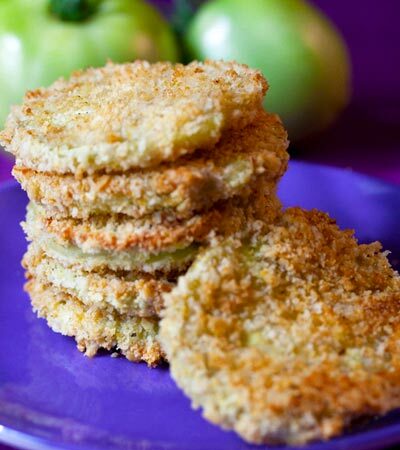 Slice green tomatoes into 1/4 thick slices. Place coating ingredients in food processor and pulse 10 times to combine. Combine all batter ingredients and mix until all lumps are gone. Dip slices into batter and then into crumb coating. Place onto cookie sheet and bake for 30 minutes but flip after first 15 minutes.